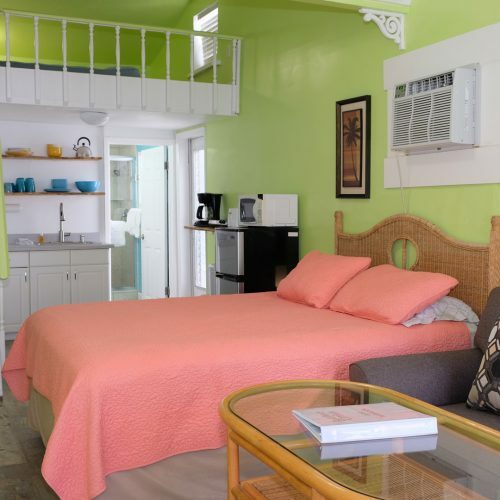 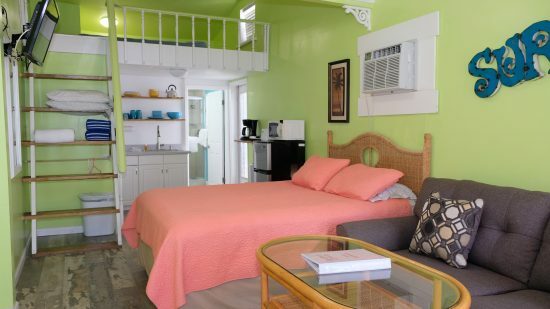 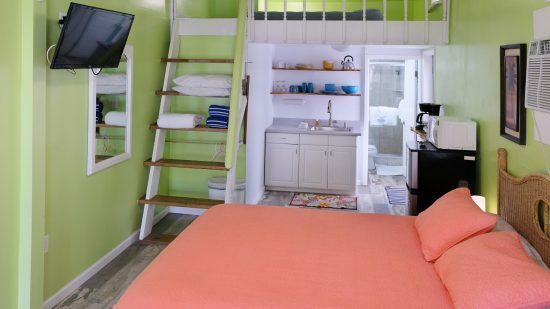 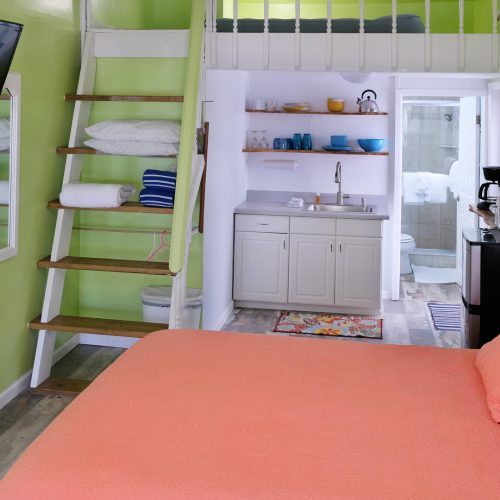 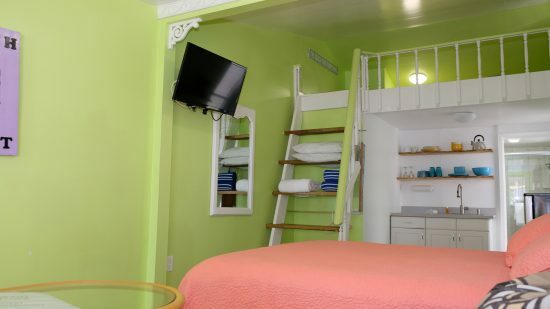 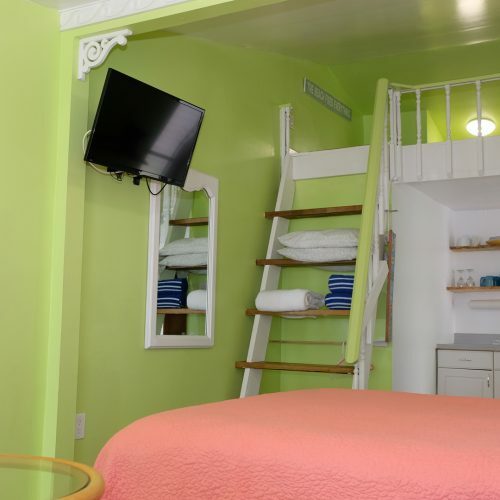 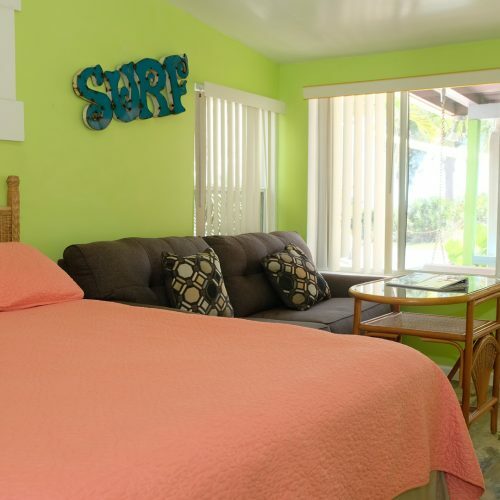 Cute, colorful studio just steps from the beach! 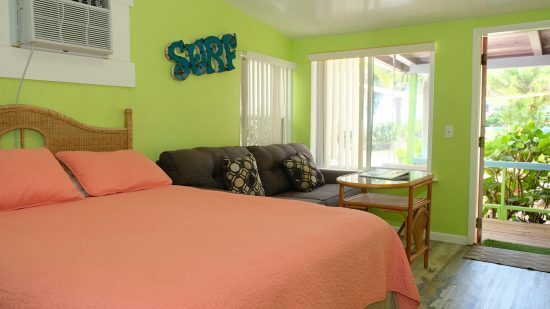 Cottage 4. You’re going to love this cute studio efficiency that faces the blue water. 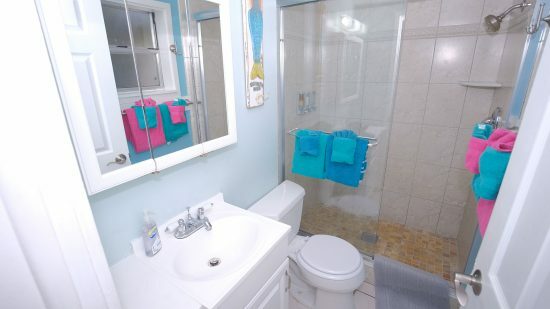 Small, but fun. 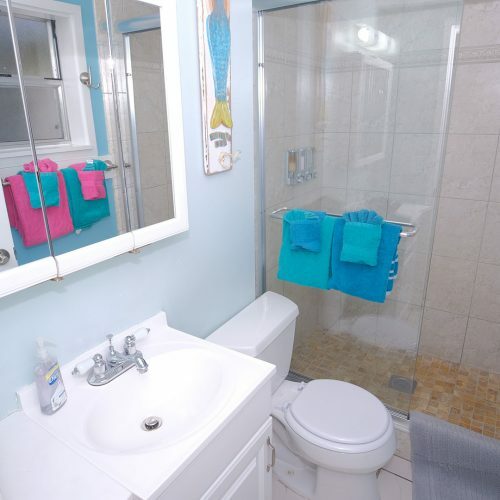 This cottage offers a comfortable queen bed along with a small sofa bed, a kitchenette, and a nicely appointed bath. 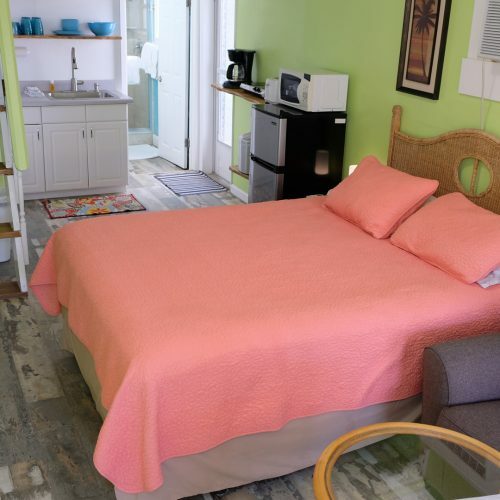 Everything you need for a beach vacation. Cottage 4 opens onto our large palapa and deck – perfect for an afternoon cocktail or meeting other guests. 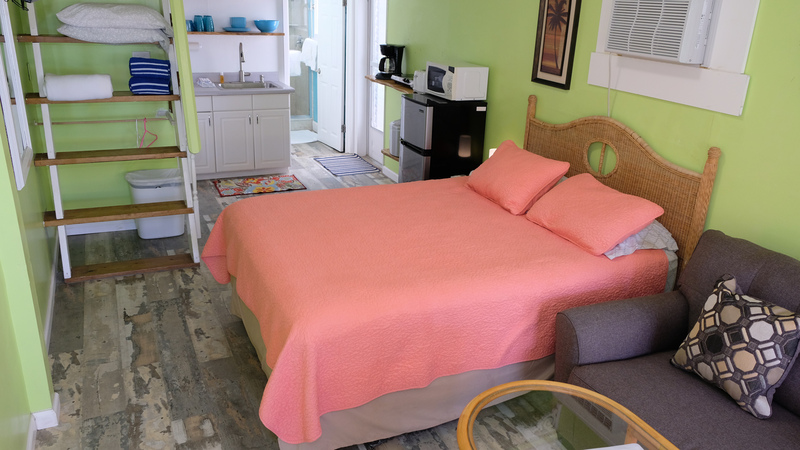 If you’ve been with us before, you’ll notice that #4 now has new paint, flooring, a new bed and remodeled bath.